What better way to begin the festive season than with a Christmas Jumper Day! The girls dressed up in Christmas jumpers today and kindly donated any spare change to LauraLynn, Ireland's first children's hospice. The choir sang some lovely Christmas songs and the infants sang a song or two! 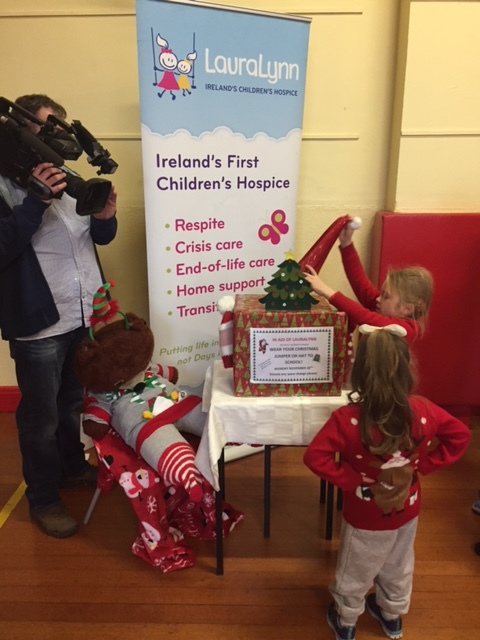 We had RTE News2day visit the school to record all the excitement and to interview some of the pupils! You can watch a video of the choir perform 'Candle in the Window' (from the Home Alone movie). Choir sing "Candle in the Window from Killester on Vimeo.